Beautiful property located in Flat Rock, Alabama with 40 acres of prime level ground. 3 bedroom 2.5 bath home situated on the property that has log siding, wrap around porch, rustic feel inside the den, kitchen, and dining area with lots of wood finish. Formal living and bedrooms have more of a traditional look but the entire home has great space and LOTS of updates that the owner has completed.This property also has a barn, outbuilding and shed, great for storage or projects. Land has plenty of potential and level. It has a large pond at the back of the property. 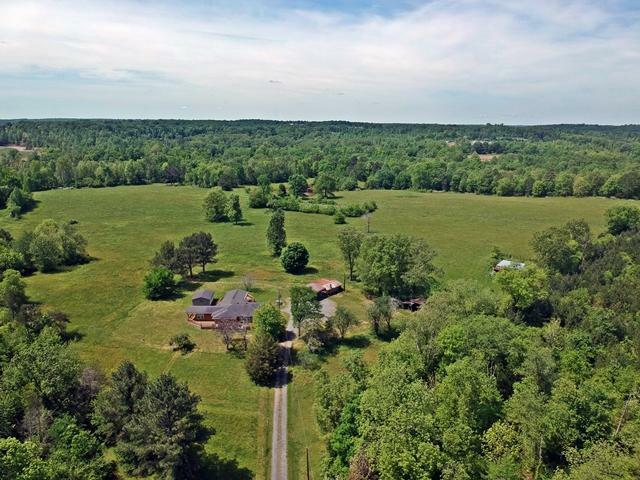 There is about 11 acres wooded and 30 acres pasture. Call today for a private tour! !